The Rev. George Michael Weiss and 400 of his congregants arrived by boat to Philadelphia from the Palatinate region of Germany. 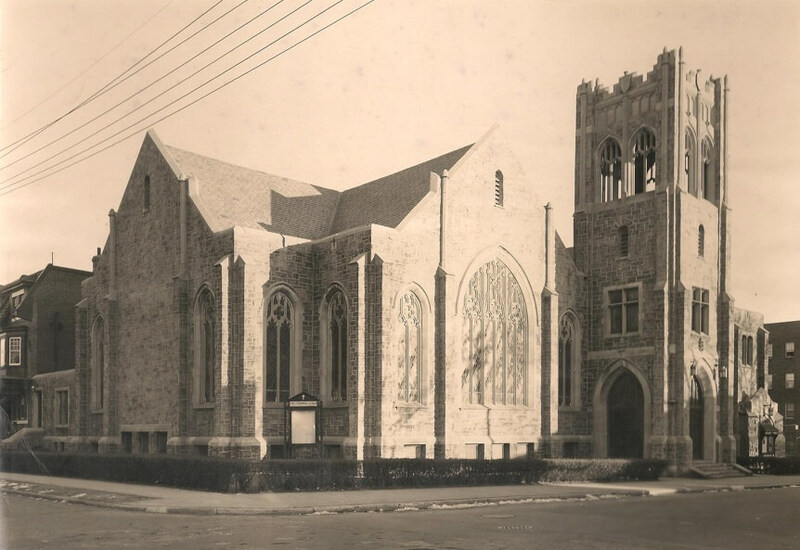 They worshiped in members’ homes for two decades before building a hexagonal church at Old First’s current location at 4th & Race (then Sassafras) Streets. Our second pastor, the Rev. 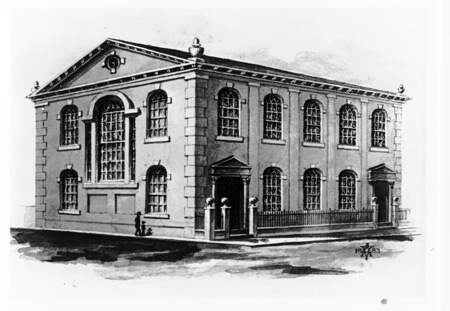 Michael Schlatter, who had been sent to America to “organize the ministers and congregations into a Coetus (synod),” had gathered and founded the German Reformed Church in America, that founding taking place in Old First’s Sanctuary on the corner of 4th and Races Streets. 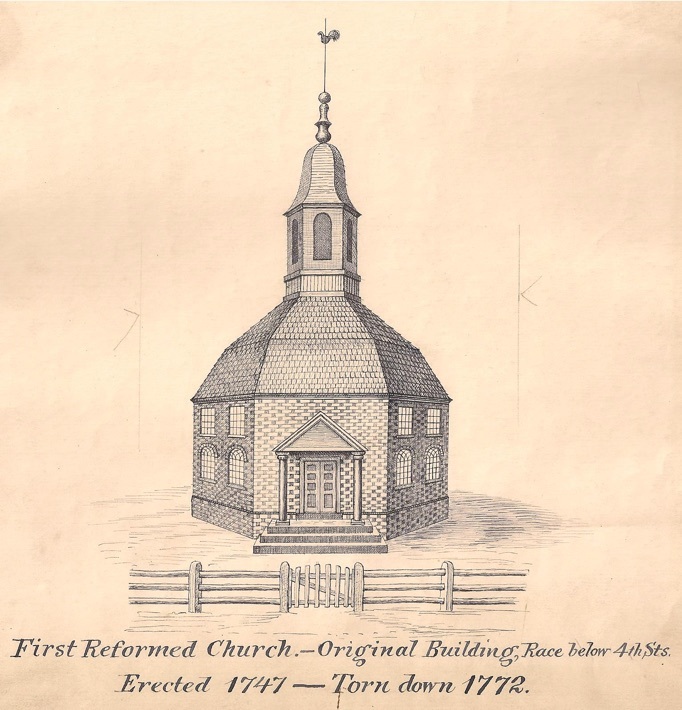 More information on the German Reformed Church is available on the UCC’s website. Our congregation replaced the small building with a larger Georgian/Federal meetinghouse style church built on adjacent property to accommodate their growing congregation. 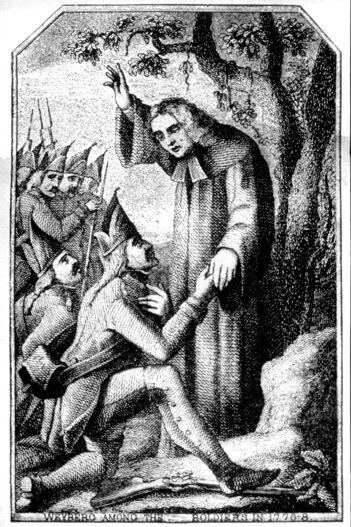 Pastor Casper Weyberg imprisoned by British during the American Revolution for preaching to Hessian solders. The British Army used the church as a hospital. Yellow fever epidemics take two of Old First’s pastors; the Rev. 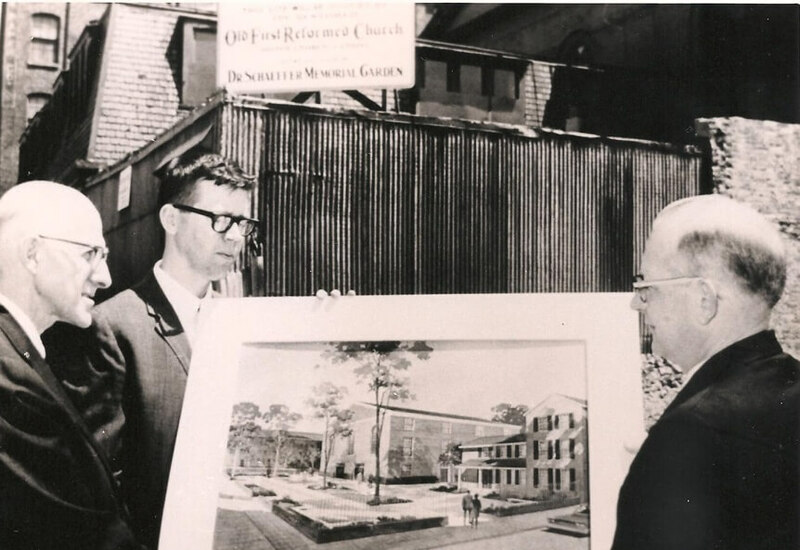 Herman Winkhaus and Rev. William Hendel die. 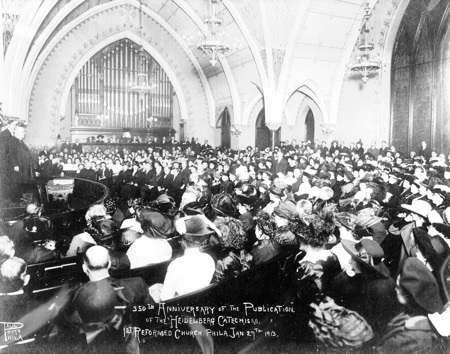 Meetings of the Corporation recorded in English, before Old First was a German Speaking Church. This division of which language should be used caused a rift among the congregants. 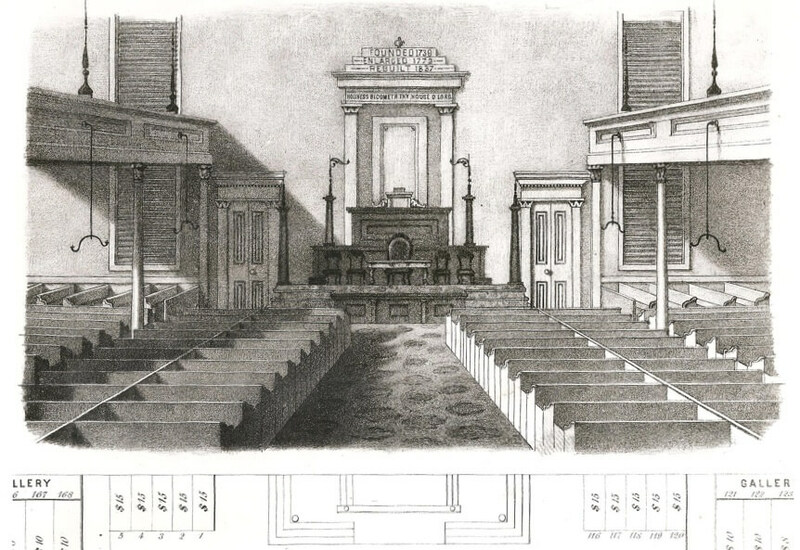 The third church building erected and dedicated at 4th & Race St.
Pictured is a pew rental card that would have been used by the congregation as a way to give to the church and reserve the best seats. The 1837 church is the one in use by our congregation today. 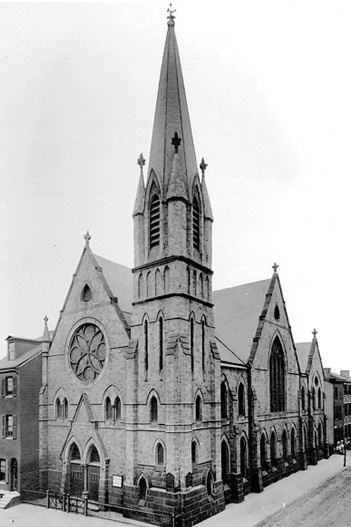 The area around the church became increasingly industrialized and many of the church members left the neighborhood. 4th & Race buildings sold to John Lucas & Co. for paint warehouse. Tenth & Wallace St. church sold. The congregation followed its members once again—this time to 50th & Locust in West Philadelphia. The City of Philadelphia and the federal government began an effort to revitalize the Old City section of Philadelphia in advance of the country’s bicentennial. Congregation votes to purchase original 4th & Race St. site and adjacent lots from the Philadelphia Redevelopment Authority. 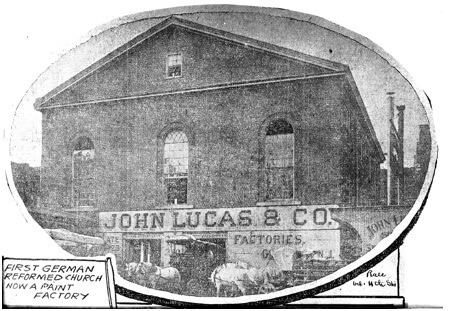 The building, then vacant, had been in use as a paint warehouse for much of the early 20th century. 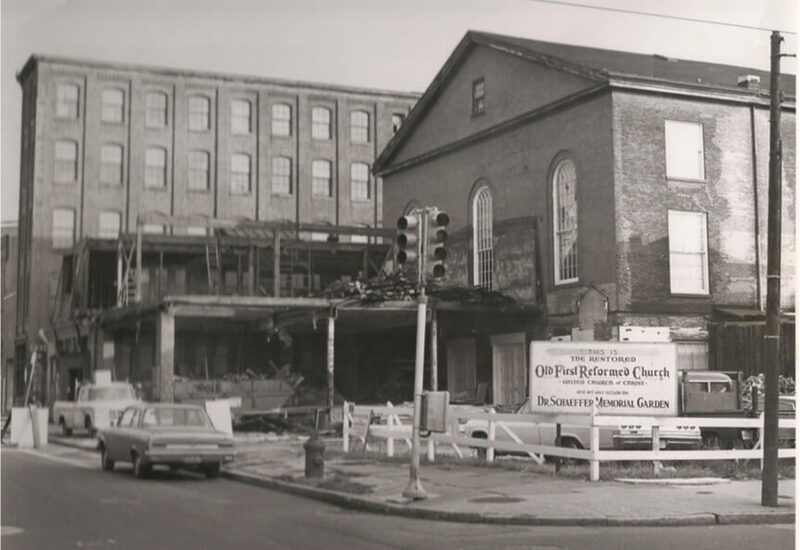 The “urban pioneers” who returned to rebuild the congregation’s presence at 4th & Race were propelled by a dream to make a difference in the city. 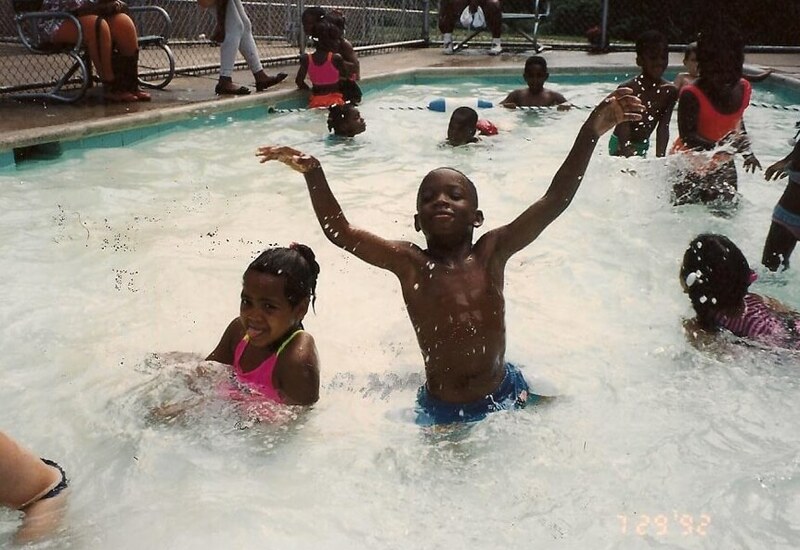 Embracing its central location, the congregation established ministries to serve the needs of the surrounding communities. 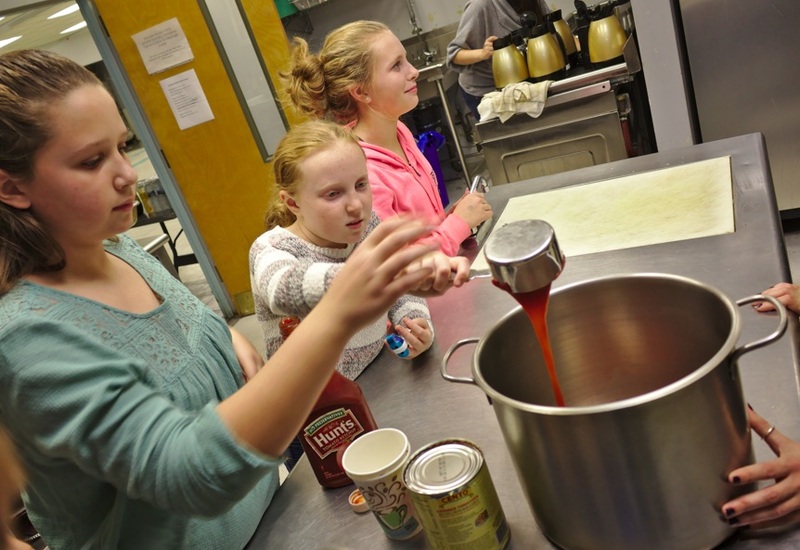 For more information on our current community service programs, please visit our Serve page. 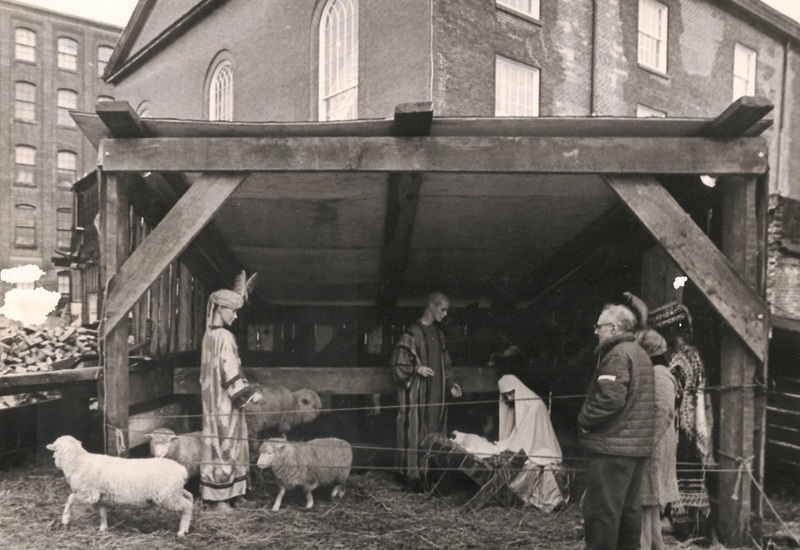 For many years Old First held an annual art exhibition during Lent. 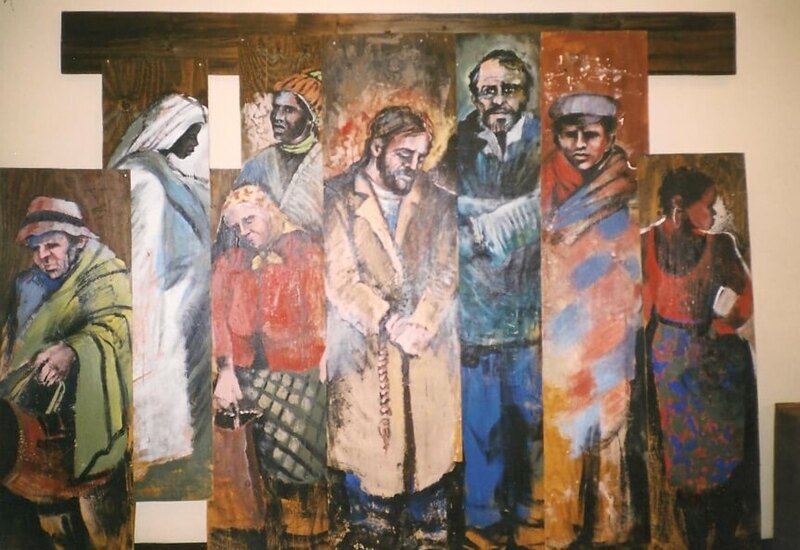 The 1992 winner (above), by Sister Helen David is called “The Sheltering Cross,” and hangs in Old First’s social hall. Ministry to the homeless Old First was the first church in Philadelphia to open its doors to provide overnight shelter to homeless Philadelphians. We continue that ministry today with a partnership with Bethesda Project and with our weekly food & clothing cupboard. Celebratory burning of the mortgage on the buildings at 4th & Race. Congregation votes to be “Open and Affirming,” which recognized the congregation’s commitment to accepting all persons into full participation in the life of the church, without regard to race, ethnicity, sexual orientation, gender identity, or economic circumstance. Congregation calls its first openly gay pastor, Rev. Michael Caine. In previous generations, Old First moved from neighborhood to neighborhood, keeping up with the migration of its membership. 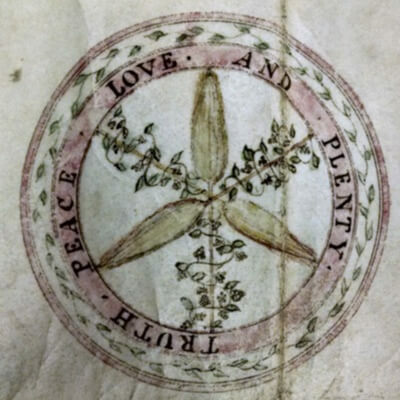 Today, Old First is stationery, but our members live throughout the region. Reflecting the mobility of modern life, Old First draws members from across the city and throughout the region—from Oaklyn, Collingswood and Sicklerville to the East; Queen Village, Wallingford, and Wilmington to the South; Northern Liberties, Warminster and Abington to the North; and East Falls, East Norriton and Merion to the West. We gather at 4th & Race as a community of faith, to serve God, one another and our communities.